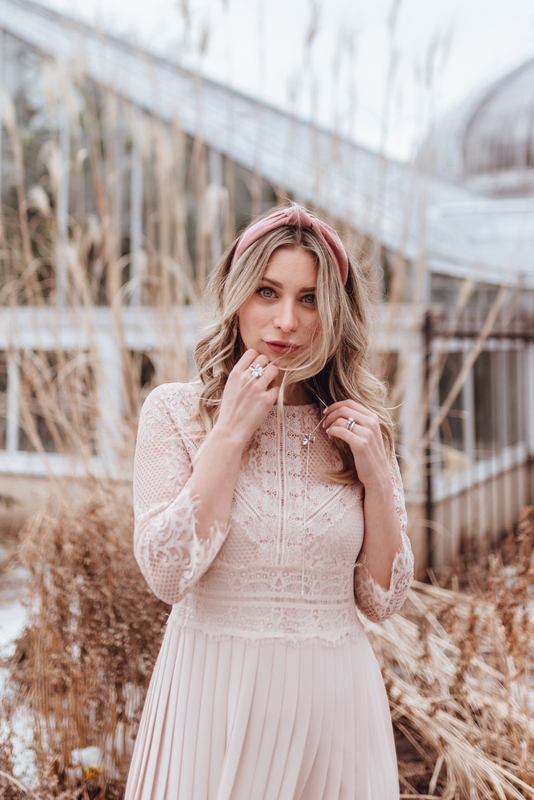 3 Big Reasons You Need A Blog | La Petite Noob | A Toronto-Based Fashion and Lifestyle Blog. I want to talk about something very near and dear to my heart - the blog. What once started as a hobby, or a creative distraction from a very emotionally heavy job, has since blossomed into a beautiful lifestyle and career that I am so grateful for every single day. La Petite Noob has shape shifted and evolved over the almost 6ish years that it's been alive, and truthfully so has the blogging industry itself. That's right - digital content creation is now a full-blown industry, with terms like "influencer" and "creator" being thrown around. The rise of social media, specifically Instagram, has certainly taken precedence in this newfound industry and the humble blog has completely fallen to the wayside. In a time where likes and followers take precedent over written thoughts and musings, by both creators and advertisers alike, is there really any reason to start or maintain your blog? Yes. The answer is a resounding yes. I firmly believe that now more than ever is the time to maintain your blog - or even create one, if you haven't already. Here are 3 big reasons that you need a blog in 2019, and need to continue to update and maintain it moving into the future. You do not own your social media accounts. I repeat: you do not own your social media accounts. The blog, on the other hand, is totally yours. A space on the internet that's totally yours to create, write, design, control - and most importantly, nobody can take that away from you. Your social media accounts are a totally different story. One decision made by the app developers and totally affect your future on said app, and you're powerless to control any of it. Remember the glitch a few weeks ago that rendered Facebook and Instagram completely useless for a day? A small glitch in an app can caused chaos, and is a brutal reminder that you are not in control of your content on any app. I like to look at my blog as a 'home' for my content, and social media accounts as rented vacation properties. While the rented properties may be more fun, and generate a bigger crowd for any parties, ultimately my blog is home, and is a place in which I own for myself. Just like any home base, your blog is an entity that you can count on and a place for both yourself and your audience to come back to should anything happen to these rented social media accounts. In the same respect of thinking of your blog as a home vs. a rented vacation property, I like to use the analogy of my blog being a phone conversation vs. a text message of social media. There's a lot that can get lost in translation in social media, especially with people potentially scrolling through your long, thought provoking captions. We've become a very visual society and while a pretty picture can be enough to draw an audience in, it can ultimately serve as a distraction from what your message truly is. Though your blog posts may or may not receive as much love as a single post on Instagram, it's a great way to really let your audience know who you truly are as a person. Your blog is a space which you can fully elaborate on your thoughts, share opinions and advice, stories and just general life musings. Even sharing what you like to buy, link and shopping lists have more value to your audience on the blog. I know myself that I feel more of a connection to creators where I read their blog posts as opposed to just scrolling through their Instagram feed. Truly envision your blog as a long phone conversation as a friend. While there's not the instant gratification of text (aka. a like on social media,) you're left with more fulfillment and a deeper connection to whomever is on the other line. You've probably heard the term 'evergreen' being tossed around when discussing online content creation. To break it down into the simplest of terms (which, to be fair, is the only way that I understand it haha): evergreen content is searchable, useful and relevant all year round, and year after year. While the vast majority of my content on La Petite Noob is certainly not classed as evergreen, those posts that are continue to do well in search engines and drive new eyes to my blog on a yearly basis. I have posts that I wrote when I was first starting out in 2014, particularly those relating to travel and packing lists, that still continue to perform and drive thousands of new visitors to my blog each and every month. And sometimes it's posts that I don't necessarily think will become evergreen content that get picked up by the Google algorithm and start to drive a new audience to La Petite Noob. It's pretty incredible! The point is, while not all content can be evergreen, there is a much higher potential for it to become so when posted on a blog versus posted on social media. On Instagram in particular, even is a particular post does well, that success is likely very short-lived and certainly does not continue to be so each and every year. I hope that I've made a case on 3 big reasons that you need a blog. If you haven't started one, there's no time like the present! Haven't shown your blog some love in the last few months? Try to ease your way back into a posting schedule, even if it's just a simple post a week. Invest the time in your blog. You definitely will not regret it on the long run. What do you guys think? Are you pro blog? What do you think about having a blog versus investing all of your time in social media? Let me know! Hi Joëlle, I couldn't agree more! Instagram is a picture platform, people like to scroll fast, like and move on. While on a blog you can get more personal, and I love that! I have a question, I just started a blog not too long ago and what are the pluggins you use to protect your website? Or software? I want to make sure I am protecting my blog so it doesn't get hacked in to or threatened in the future. Thank you, I am a loyal follower! I love this and I agree. I certainly do not have many followers on instagram but it has certainly motivated me to start my own blog this year. These reasons are exactly why I will always love my blog more than any other platform. I enjoy the long process of content creation and it is so much more satisfying in the end than just a photo that no one will pay attention to in 24 hours. every other platform I see as an extension.